Suits are one of the most elegant and critical attire of men that needs special care during selection. There are so many types of designer suits available at the stores today, that you must collect useful information about the fabrics, cuts and designs that are in fashion before you purchase one. You must have about the Hardwick Suits. They are one of the most decent types of suits that suit any body type and offer a successful look to the wearer. The Hardwick Suits were first made in Cleveland TN and ever since 1880 this Designer Suits has won the hearts of many fashion conscious men around the globe. They are so well tailored that they are just right for any person. Suits have been a must have clothing for men from ages. Although there have been great changes in the attire world, suits never seem to lose their importance and the identity that they carry till today. So get into these amazing suits and feel the difference in your attitude and gait. Like all suits, this brand too has its own designs and special cuts and fits that draw the attention of well dressed men. There are namely 2 specific models in this category of suits, the Hampton and the Hamilton. 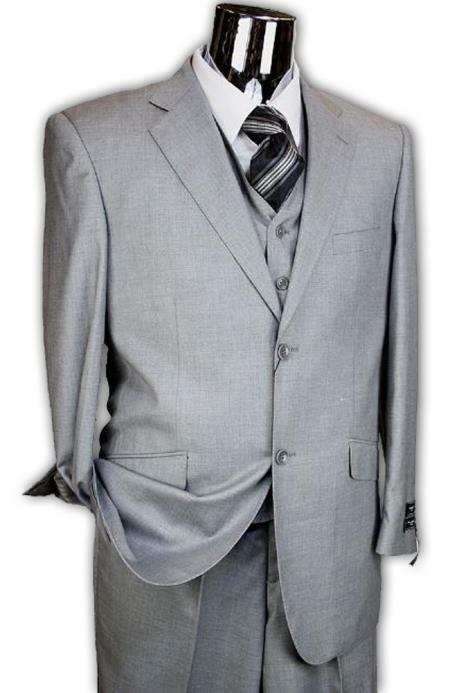 Features that mark the Hampton style Hardwick suits are the 2 piece suit that has 2 buttons along with a vent at the center. The lining is perfectly stitched to offer comfort and the sleeves have 4 buttons to hold them well. The fabric used in making these exotic suits that portrays elegance and style is worsted wool that can be worn all round the year. The Hamilton model of Hardwick Suits too has 2 buttons in the front of the coat and a vent at the center of the back. The collar is of the sewn in types and are not pressed. To ensure a smooth fit the top and the under collars are die cut. This gives a traditional look in an updated style. Hardwick Suits makers are aware of the needs of fashionable men. They offer a line of suits for the summers also. These have a blended fabric of cotton and polyester and have wonderful bright colors that throw off a vibrant feel. They are suitable mostly for festive seasons and events and not as office wears. However there is a navy blue suit in polyester and cotton mix variety that is accepted by many workplaces. Regarding the pants you can make a choice from the flat front pants or the pleated ones according to your body type. The favorite of materials used by this brand of suits is worsted wool, a blend of wool, polyester or Lycra and also cotton. The colors of the suits that you will get at the stores are mainly the solid colors like black etc and also pinstripes, mixed variations in the weaving style of the fabrics and window pane. The prices are very reasonable and are one of the best suits that one can buy to maintain his personality and status. Always remember that a proper fit suit communicates a lot about your personality. So never take any risks regarding your attires and your personal appearance. Visit us and we will give you the best in Hardwick Suits.